A MINDANAO-BASED federation advocating gender equality, and lesbian, gay, bisexual, and transgender rights yesterday came out and threw its support for Department of Social Welfare and Development information officer Oliver Inodeo who complained of alleged gay bashing by a councilor. He said public officials should know better and are expected to “recognize, respect, protect, fulfill, and promote” all human rights. 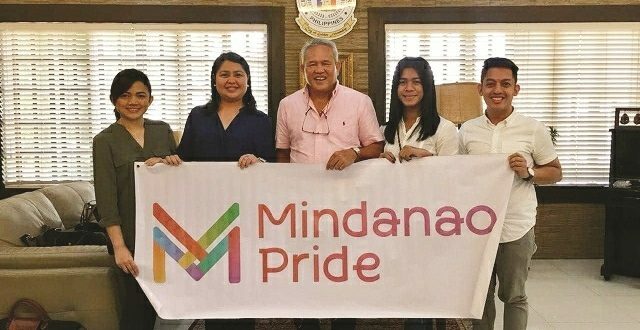 “We, at Mindanao Pride, reiterate (our) advocacy to end gender-based discrimination and recommends the passage of an anti-discrimination bill that prohibits discriminatory practices based on ‘Sogi’ (sexual orientation and gender identity),” Chanjueco said. He said their proposed law is necessary towards ending all forms of discrimination based on sexual orientation and gender, and for the achievement of equality. On Monday, Inodeo said he would be filing a formal complaint with the Kapisanan ng mga Brodkaster sa Pilipinas and the city council against Councilor Zaldy Ocon for dismissing what he had to say on air on the delayed payout of 4Ps just because he is gay. Ocon hosts a morning public affairs program at radio station DxCC where he allegedly resorted to gay bashing while interviewing Inodeo on air. Inodeo claimed Ocon asked him on live radio if he was gay and he replied that he was. He said Ocon then cut him off the air while he was explaining a DSWD program. Ocon has denied he was into gay bashing, saying that Inodeo was incomprehensible during the radio interview. He said it was Inodeo who volunteered the information that he was gay. “For now, we are documenting cases of discrimination (towards) LGBT people in Mindanao. We will capture his (Inodeo) narrative for us to advocate and lobby to (local governments) in Mindanao to adopt anti-discrimination policies. We will ask him (Inodeo) to join our movement to ensure that his voice is heard,” said Chanjueco.